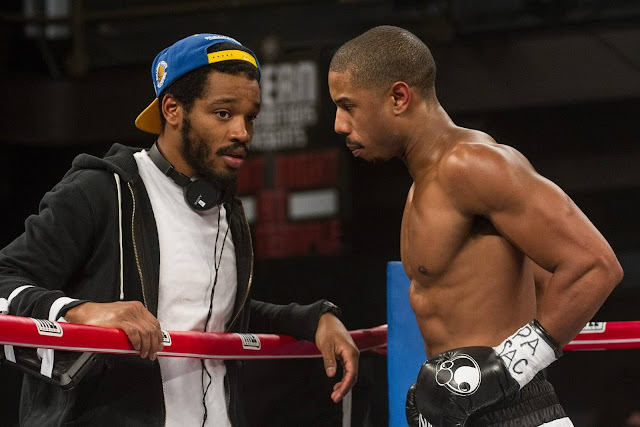 Award-winning filmmaker Ryan Coogler directs the upcoming boxing drama “Creed.” The film reunites Coogler with his “Fruitvale Station” star Michael B. Jordan as the son of Apollo Creed, and explores a new chapter in the “Rocky” story, starring Academy Award nominee Sylvester Stallone in his iconic role. Coogler talks about the origins of the Rocky spinoff film in the following interview. Question: What set you on the path to making “Creed” and why you were drawn to telling a story about Apollo Creed’s son? Ryan Coogler: It started a long time ago. I’m very close with my dad, who is a big Rocky fan. I played a lot of sports as a kid and before he’d take me to a game, he’d put on a Rocky film to get me pumped up. His favorite was Rocky II. He was a big, strong guy, but he’d get really emotional whenever he’d watch that one. So, because my dad was so passionate about them, I had an affinity for the films too. As I got older, I found out my dad was so into the Rocky films because he’d watch them with his mom when she was sick. She passed away before I was born. So he was reacting to the movies, but he was also reacting to the memory of his mom. When I went to film school, I was getting ready to shoot my first feature, and round about that time my dad started to have some health issues. I had a hard time dealing with that—him getting older and me taking care of him. As I was going through that experience, I came up with this idea of a similar situation with his hero, Rocky. It was kind of an artistic way of venting my feelings. I was so busy working on Fruitvale Station that I asked my buddy, Aaron Covington, if he’d like to write it with me. Q: Was that because he’d already done Rocky Balboa? Coogler: I think so. That movie was sort of his farewell to Rocky and he was very happy with it. Q: So when did you first talk to him about it? Coogler: It was in July of 2012; I remember because we were getting ready to shoot Fruitvale. I met him, I pitched it to him, we talked about it, and I could tell he was really apprehensive. I hadn’t made a feature film yet, so he was probably thinking: who is this kid coming in talking about making a Rocky movie – something that’s so precious to him? I told him, honestly, I wouldn’t blame him if he thought I was crazy. I knew when I was pitching it to him that it was a wild idea. But Sly’s a smart dude; he’s an emotional dude. He’s a thinker, you know what I’m saying? He was thinking about every different way this could work, and every different way it could fail. Q: What did you say that convinced him to give it his blessing? Coogler: I was just honest with him. I told him how I saw the film, how I saw the characters. I think what appealed to him was that it wasn’t a Rocky movie, in that Rocky isn’t the main focus of the film. Obviously the character was going to be heavily involved, but the focus is very much on Adonis Johnson. Q: In a way, your movie takes Rocky full circle in that he becomes a mentor to this young fighter in the same way that Mickey, Burgess Meredith’s character, was to him in the first Rocky movie. Coogler: Exactly. And I think that connection resonated with him. Q: Has your dad seen the movie yet? Coogler: No, he hasn’t seen it yet. If I showed it to him too early he’d tell everyone the whole movie [laughs]. But he’s seen bits and pieces. The crew had tee shirts and sweatshirts made and he’s got all of those. He wears one every time I see him. Q: Did he get to meet Stallone? 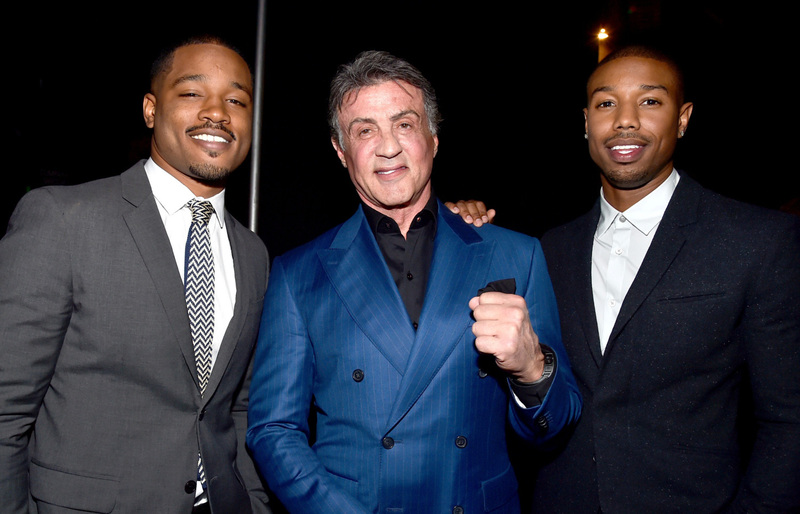 Coogler: Yeah, he got to meet Sly. You know the restaurant in Rocky Balboa [Adrian’s]? We shot some scenes there. My dad came to Philly for those scenes so that’s where he got to meet Sly.